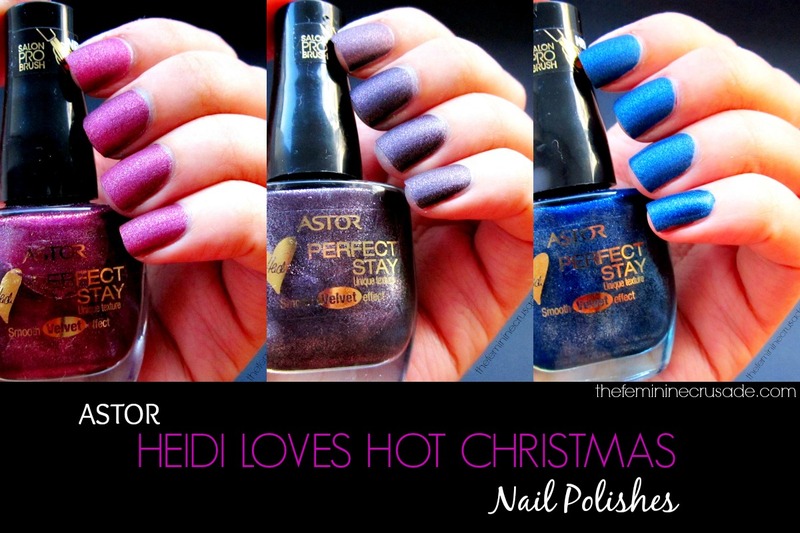 On Christmas Astor released the Heidi Loves Hot Christmas collection. The lipsticks from this limited edition collection have already been reviewed here. Today I have with me three matte metallic nail colours. All three shades have a gorgeous matte metallic finish. I never bothered with mattes before. I always found them unflattering on my hands. But these have changed the way I think about matte nail polishes. 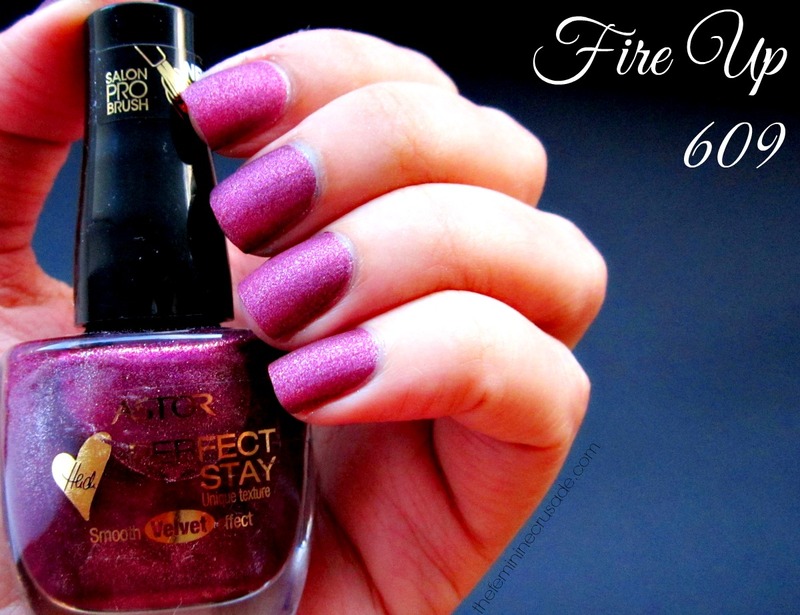 Fire Up is a beautiful berry pink shade. Just to show how opaque these nail polishes are I have applied only one coat of each nail polish. And to retain the matte effect I have not used any top coat. 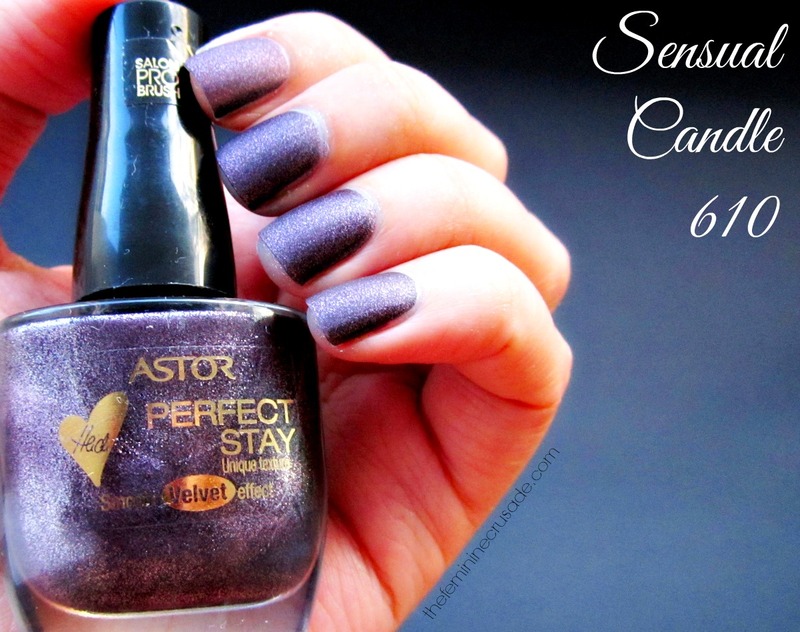 Sensual Candle looked a murky grey in the bottle and I was looking forward to it the least, but it transfers on to the nails as a gorgeous purple-grey that is just so sultry. Aah Devil In Me! Is it any surprise that this is my favourite of the bunch? Although a very hard decision since all three are fabulous colours. Nonetheless, this metallic royal blue just made me drool in its awesome-ness. The nail polishes have a very quick-drying formula because of which they need to be worked with quickly or they start bunching up. If applied well, they do not streak. Although because of not sealing with a top coat, they start to wear/chip off in a day or two. I still love them the way they are with their smooth velvet-y texture and matte finish. However, they still look uber fancy with a top coat on. 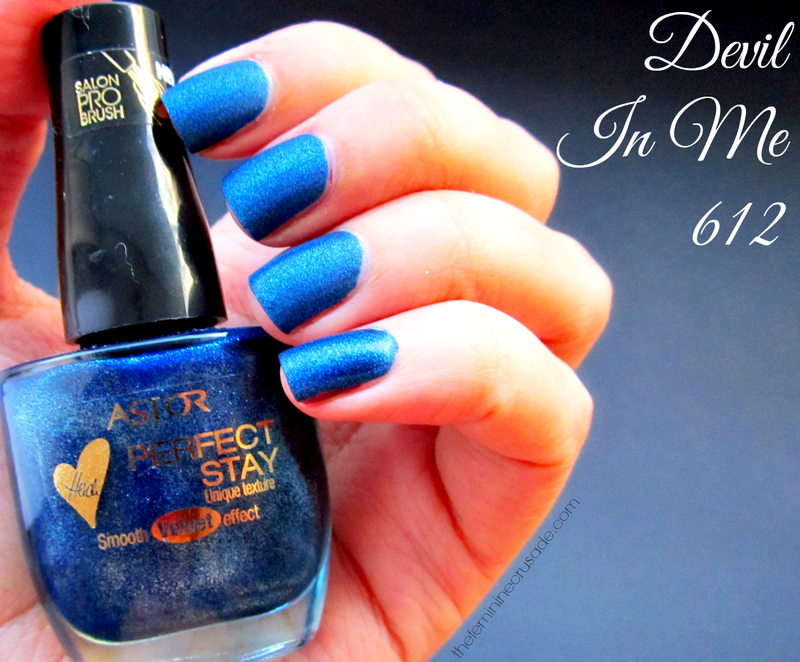 Astor 'Heidi Loves Hot Christmas' Perfect Stay Nail Polishes retail for €5.99 in all leading superstores of Germany.